Emotion-focused mindfulness therapy (EFMT) integrates mindful experiencing with experiential and emotional processing in meditation and interpersonal encounters. EFMT emphasizes getting better at feeling, so that our feelings help us cultivate a fulfilling life. Meditation sittings in this silent retreat range from 20 to 40 minutes, with time for journaling after each meditation. Bill will give two daily talks with two discussion periods each day. There will be optional daily small groups for sharing and exploring your meditation experience, as well as opportunities for individual discussions about your meditation practice. This retreat is most suitable for mental health professionals with some meditation experience. 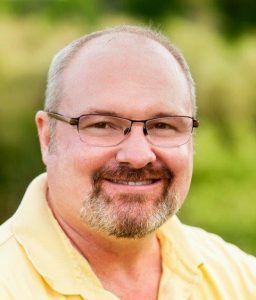 Bill Gayner, BSW, MSW, RSW, has taught and researched mindfulness for over fifteen years. He has developed emotion-focused mindfulness therapy (EFMT), integrating mindfulness-based interventions into emotion-focused therapy. Bill is a mental health clinician in the Sinai Health System in Toronto where he provides EFMT groups for psychiatric outpatients and gay and bisexual men living with HIV, individual psychotherapy for people living with HIV, and emotion-focused mindfulness training for hospital employees. He is an Adjunct Lecturer at the Factor-Inwentash Faculty of Social Work, University of Toronto and has mentored mental health professionals in mindfulness for over a decade. Cost: Covers all retreat and faculty fees including accommodation, organic meals, snacks, as well as talks and discussions with faculty to deepen meditation practice. 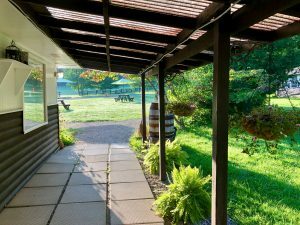 We have exclusive access to the swimming pool, daily yoga classes, labyrinth for walking meditation and a variety of hiking trails, campfire circle, spring-fed streams and a pond. The retreat cost includes your room, meals, and faculty fees. 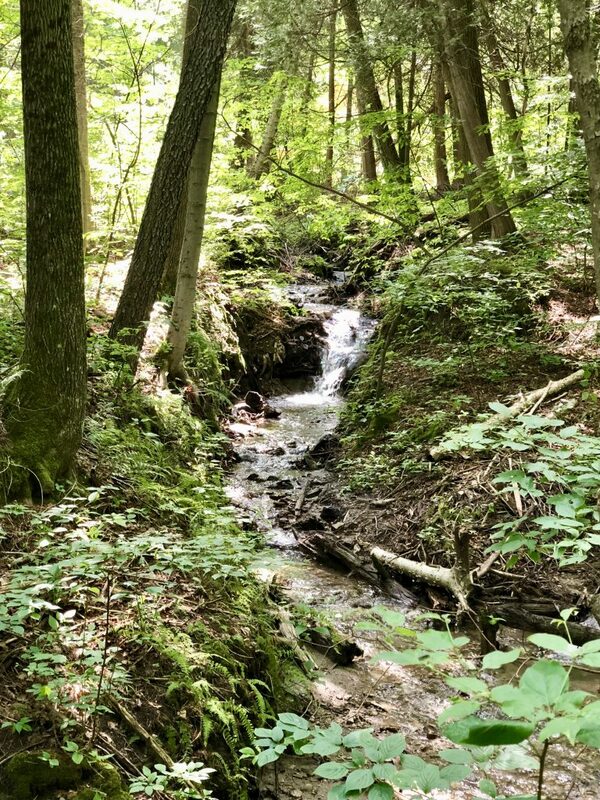 Our retreat centre is located in the Hockley Valley near Mono, Ontario, and has beautiful forested rolling hills and lovely spring-fed creeks. The retreat has delicious organic, locally sourced meals and exclusive access to all retreat amenities such as a pool for swimming, labyrinth for walking meditation, open fields, fruit trees, beautiful hiking trails in wooded hills that connect with the Bruce trail, and campfire circles on Friday and Saturday night. The sound of the burbling creeks can be heard throughout the retreat centre including from the meditation hall. Bill Gayner will give retreat talks with whole group discussions. Participants can also share and explore meditation experience in small groups as well as individually with Bill and other faculty. Retreatants have the option to attend daily yoga classes taught by certified yoga teachers on our faculty, Cleo Haber and Justina Zatzman. Our retreat organization team provides a warm and personalized approach throughout the retreat registration process right up to and including your on-site meditation retreat experience. We will arrange transportation and other supports as needed, work with the centre’s chef to meet food restriction and allergy needs, and do what we can to ensure the most beneficial meditation experience for you. To download the retreat flyer, click here. Would you like to receive Bill's email newsletter? You can select the topics you're interested in, and unsubscribe at any time. Do you have any allergies that the kitchen should be aware of? Do you have any accommodations or needs you would like to request of the staff? Is there someone you would like to request to share a room with? Where will you be travelling to the retreat from? Do you need transportation assistance to/from the retreat? If you are driving to the retreat, are you able to help drive a retreatant who might need a ride? Please describe the meditation or mindfulness practices you have done. Do not worry about technical or traditional terms, feel free to use your own words. Would you like to borrow or try a meditation pillow on this retreat? There will be chairs available for meditation, you are welcome to meditate in any posture that suits you. If you would like to try a meditation pillow for a few sittings let us know. Do you have extra meditation pillow or mat that you can bring to the retreat to share with a fellow retreatant? Please note all registrations using codes will be double-checked for validity. You have selected credit card as your payment option. You will be automatically directed to PayPal after clicking Register below. I understand that my registration is not complete until I have completed payment via PayPal. You have selected email transfer as your payment option. You must send an email transfer via online banking after clicking Register below.